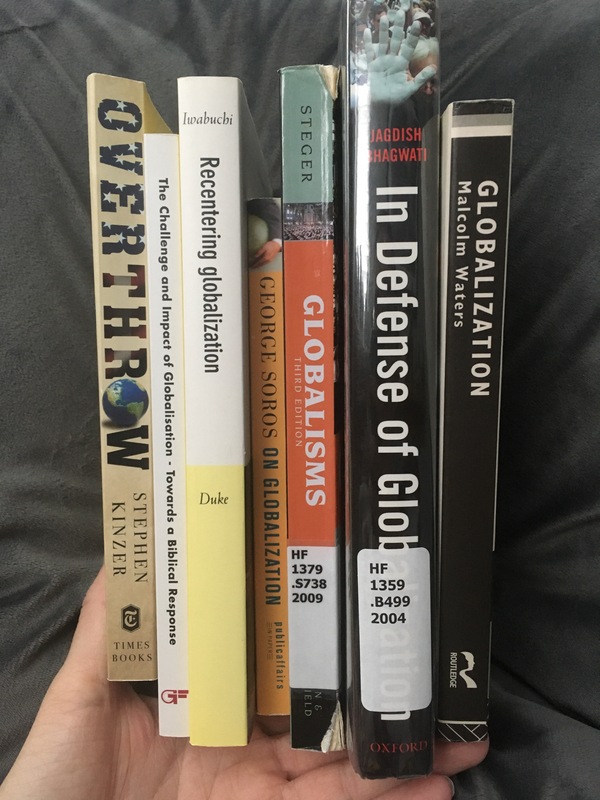 Today I start a research project on Globalization that I’ve been procrastinating for at least a few months now. I bought five books from the nearest HPB and checked out two from my university library. I plan to do all this, limiting myself to eight hours a day, before I leave for a missions trip on January 3rd. I also will be gone a few days here and there, notably Christmas but also some other events as well.